It’s time for the Grow Your Own third anniversary roundup. I was very excited as I received the information on each post and I want to extend a special thanks to all who participated. We had friends from Canada, Australia, Malaysia, and the United States all sharing what they are making with the food they grew, foraged, hunted, or raised. If you’d like to join us, our host for September is Heather of of Girlichef and she has posted an announcement with all the details. Deadline for posts is September 30, so make sure you send your information to Heather and she will post a round-up a few days later. 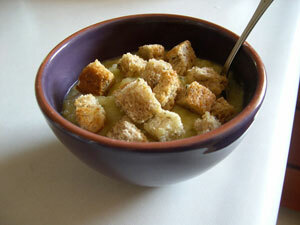 Liisa shows us an example of squash cross pollination and a delicious soup made with her hybrid pumpkinzini. 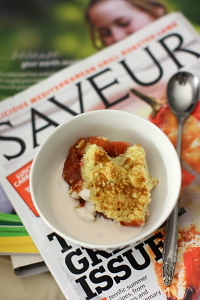 Cathy’s rhubarb crumble is a lovely example of how the simplest foods can be the most satisfying. 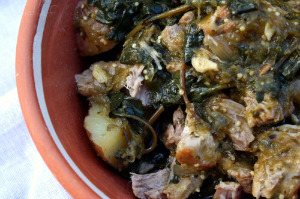 Heather found she could grow her own purslane and loves the flavor it adds to her carnitas. 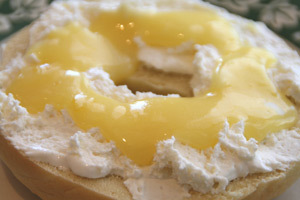 Dorothy’s lemon curd made from her homegrown Meyers lemons is easy and perfect for your morning toast or bagel. 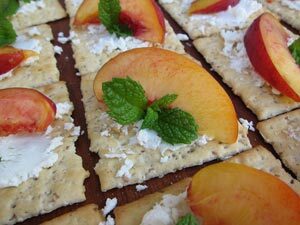 Gudrun made her neighborhood block party even more delicious with not just one, but three gorgeous appetizers, including nectarines with goat cheese and mint. Using taro sweet potatoes grown by one of their friends, Nate and Annie made these lovely pandan spiral moon cakes for Chinese Mid-Autumn Festival. Sarah grew her heirloom tomatoes from seed and now has an amazing number of plants. 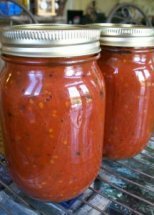 She shares her recipe for roasted tomato sauce. 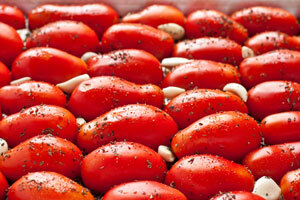 And finally, our process for slow roasting tomatoes, which we pack in olive oil and freeze for the winter. love these new ideas for late-summer produce! So many things to love – lemon curd, purslane, and of course, the tomatoes. Great roundup! Everything looks amazing! I can’t wait to visit everybody and read more. Thanks so much for hosting (and creating) this event…♥ it! Beautiful roundup. Thanks for hosting!